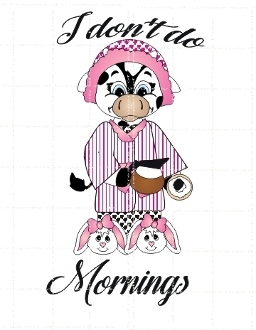 Cutest cow with her morning blues, coffee and donut for a special scrapbook layout or handmade card. She loves her bunny slippers to keep her warm. Receive svg format along with digi to color and print.